What can be better than a nice brisk walk on a beautiful day? 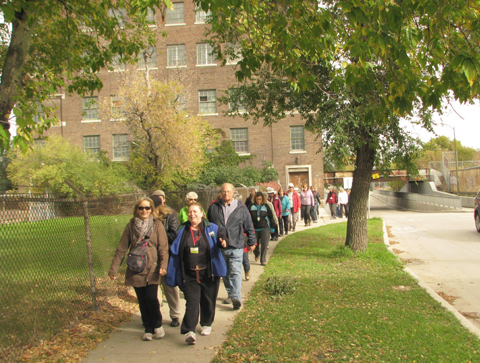 Well, how about a walk shared with like-minded individuals who enjoy exploring different neighbourhoods and discovering some of the many scenic secrets that our beautiful city has to offer. 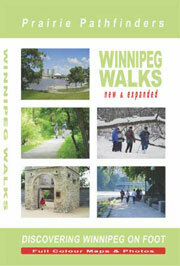 Our walks are in different parts of the city and many are routes from our book, Winnipeg Walks. Our urban hikes are in the 5 – 6 km range and last from 70 to 90 minutes. We walk at a fairly brisk pace but still have our eyes wide open to appreciate the wonderful scenery and interesting architecture we encounter on the way.